Post written by Caymary O’Garro, J.D. expected 2016. 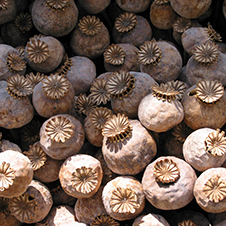 In 1997 Iran adopted one of the world’s harshest anti-narcotics laws. At first, it appeared that Iran was being praised by the International community for taking such a strong stance to eliminate and deter drug use. But that has since changed. Iran has been in violation of international law when it imposed the death penalty for a wide array of drug offenses, including the “trafficking of more than 5kg of narcotics derived from opium or more than 30g of heroin, morphine, cocaine or their chemical derivative” as stated by Amnesty International. The International Covenant on Civil and Political Rights (ICCPR, Article 6(2)) demands that the death penalty be “only imposed for the most serious of crimes” in force at the time of the commission of the crime, and yet an elementary school teacher named Mahmoud Barati was recently sentenced to execution by hanging for allegedly selling drugs. According to an Iranian Human Rights Organization, Barati was implicated by a drug dealer who believed that Barati had informed on him and so he incriminated Barati, his mother, and sister. Police officials convinced Barati that if he admitted to this crime his family could go free and he would be able to explain to the court that the charges against him were false. The judiciary never considered his statements nor did they consider the letter written by the original drug owner who recanted his accusations against Barati right before his execution was carried out. Barati’s case has also come under scrutiny by the international community because of the unanswered questions about how the Iranian government obtained his “confession.” It is suspected the Barati was subjected to torture and other ill treatment, which would also be a violation of the ICCPR (Article 7). If there was any question as to whether drug offenses fell under the category of “most serious crimes,” the UN Human Rights Committee charged with monitoring government compliance to the ICCPR has said no. Under the Universal Declaration of Human Rights and the ICCPR, everyone is entitled to life and a fair trial. A fair trial cannot be had when a country may be using such methods to violate the basic human rights of its citizens. It is understandable that Iran faces a huge drug problem because it is located among major drug smuggling routes. The United Nations Office of Drugs and Crime in the past (2011) has agreed to increase its cooperation with Iran over the fight against drugs, but such killings undertaken by Iran are atrocious. As of September of this year Amnesty International has noted that there have been over 700 executions in Iran, most of them resulting from drug convictions. Amnesty International also observed that the deputy of Iran’s Centre for Strategic Research has admitted that the death penalty has not reduced the drug trafficking levels in Iran. The important question then becomes, why does Iran ignore the international community’s call to end the death penalty for drug offense? This is a topic I was not familiar with and I am shocked to learn that Iran is still implementing this policy. The International Covenant on Civil and Political Rights (ICCPR, Article 6(2)) demands that the death penalty be “only imposed for the most serious of crimes” in force at the time of the commission of the crime. Iran could argue that drug related crimes in their nation-state are a serious crime to their people that warrant death. The International community needs to be careful and balance between intervening and preserving Iran’s state sovereignty.